One of the few customers with a dedicated siding, this dealer had an elevated track protected by a derail. 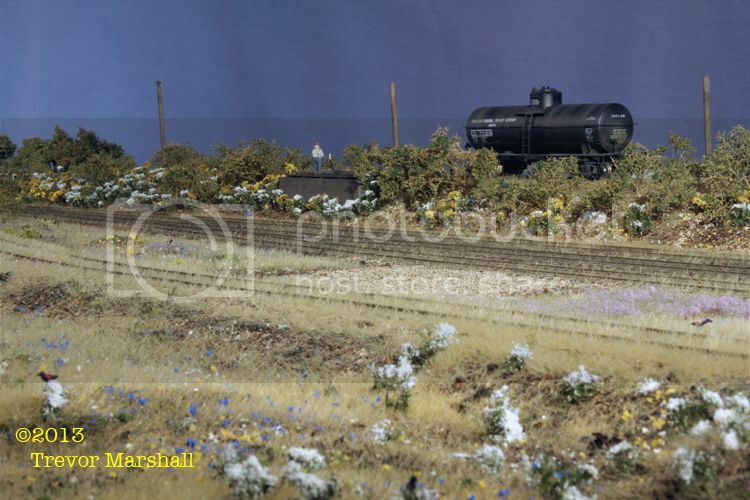 The coal dump was also used to unload gravel, and the dealer also received oil in tank cars. 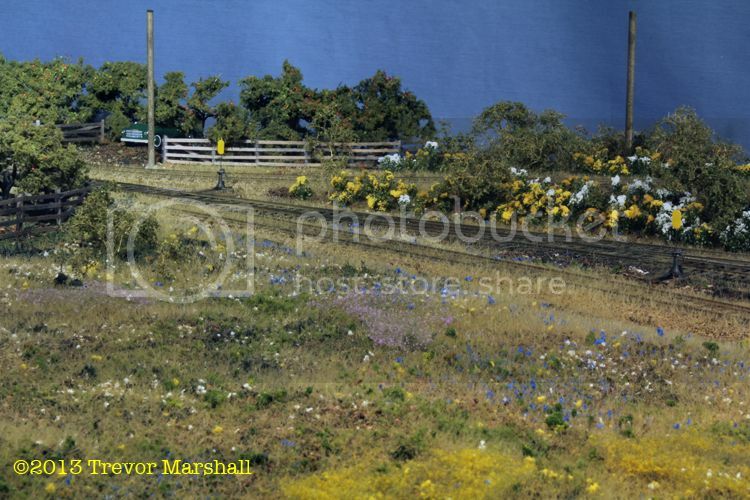 Following my post earlier this week on adding weeds and bushes to the coal track, I had a wonderful phone call from my friend Bill Kerr. He really likes what I’m doing with the scenery (which is very high praise since he does brilliant work in this regard). He did, however, offer a couple of good suggestions, which I acted upon. Bill noted that 50-60 years of coal dust around the bin itself would’ve killed a lot of vegetation, including all but the heartiest of weeds. Makes sense to me. So, I did some transplanting last night. I think it looks a lot better for a couple of reasons. 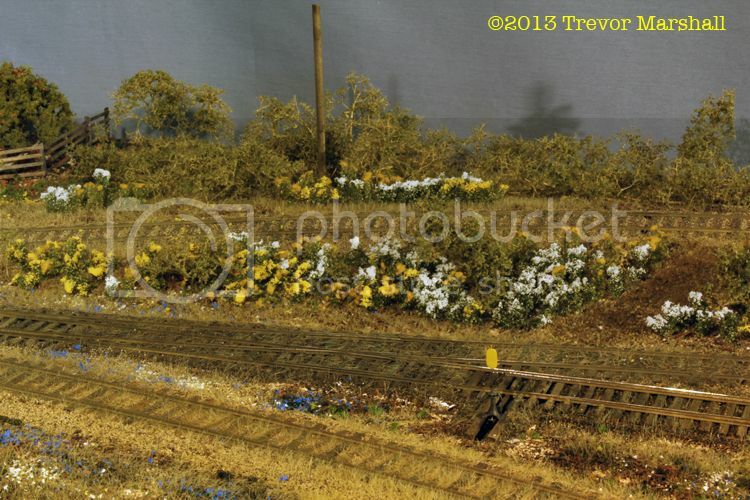 First, it looks less like the coal dealer is planting a garden around his bin. 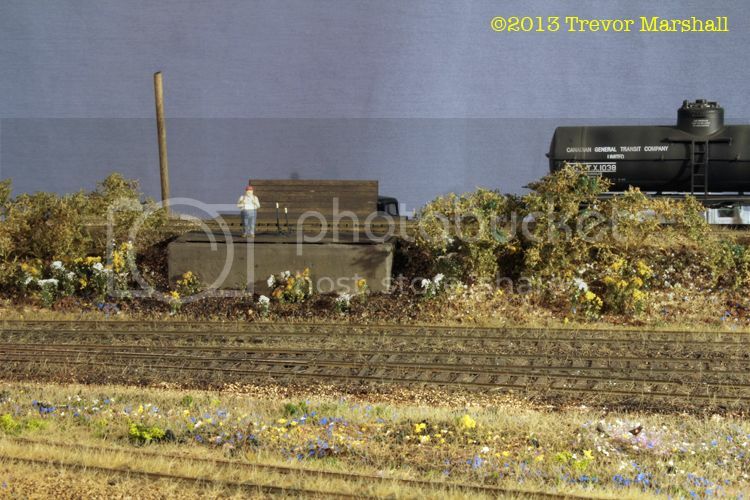 And second, it makes the coal bin stand out more from the rest of the scenery along this track. Thanks Bill – great feedback! 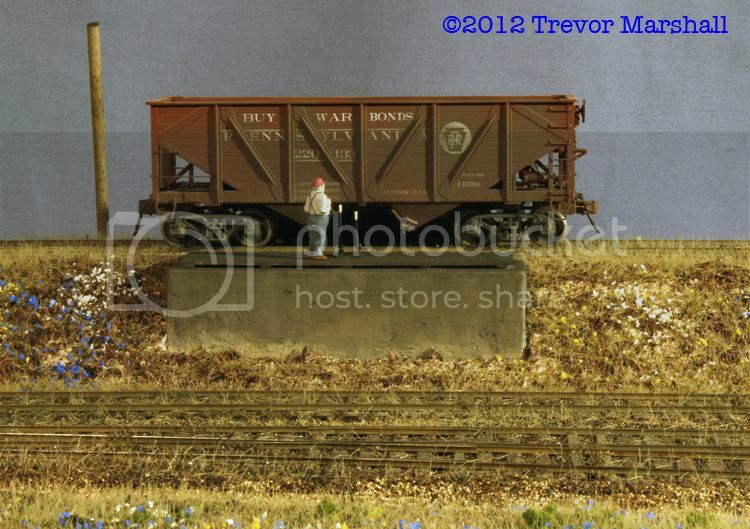 Thanks to my friend Terry Smith in the United Kingdom, I’ve been able to finish the elevated coal bin in Port Rowan. Terry’s contribution was a package of Ground Frame Point Levers. These are levers used to throw track switches, set signals and so on. They can be similar to the levers one would find in an interlocking tower here in North America, or they can be much simpler as the first photographs on this page illustrate. I’m not actually sure what the levers do on the coal bin. My best guess is that they open doors between the rails, so that one doesn’t accidentally fall through when walking around on the top of the bin. I’m sure the brakemen appreciate it but if I’ve guessed right then this is the only concession to safety: There are no railings, stairs, or other features that might make the job of unloading a car easier or safer. I carefully bent the levers so they were more upright, cleaned up the flash on the castings, and painted them a warm black. When dry, I added some white to the handles. I worked from my only photograph of the prototype coal bin. I built a platform from S scale strip wood, and glued the painted levers in place after staining the wood. I glued the finished assembly to the top of the coal bin. 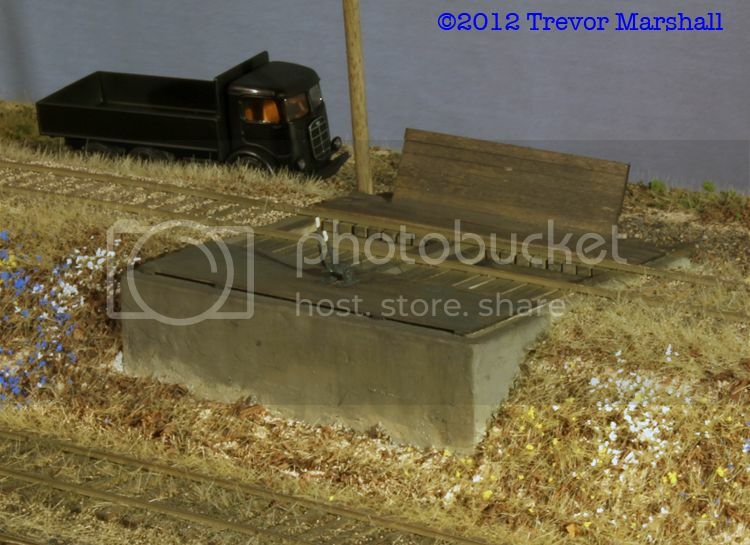 The bin also had an angled wall built from wooden boards on the opposite side of the track from the levers, so I modelled that and glued it to the coal bin too. I’m not sure what it was for – perhaps it was to keep coal from hitting anybody standing in front of the bin when a hopper car was being unloaded. Regardless, it’s a neat detail. Thanks, Terry, for the great find! I really like the trains coming through the trees. It will also look good switching the coal dealer. 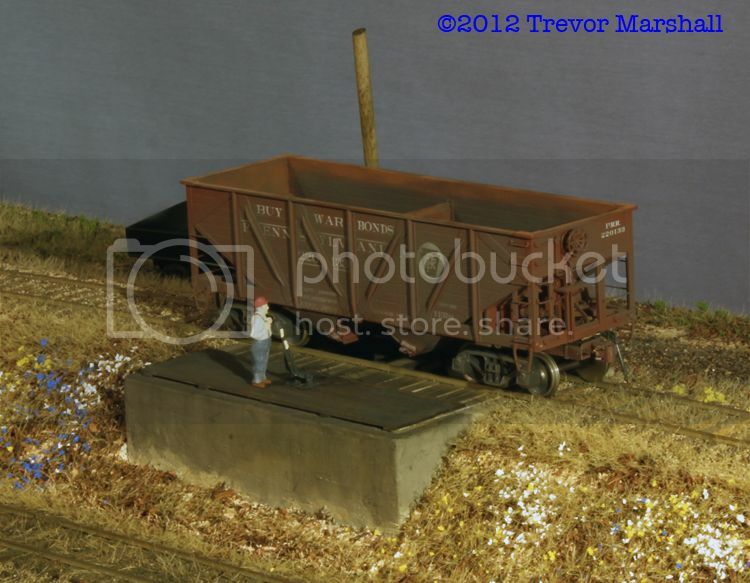 Trackwork has been progressing on the layout but in order to finish the track in Port Rowan, I needed to build and install the coal dealer’s bin on the elevated track. And I kept putting this off while I debated how to approach it. 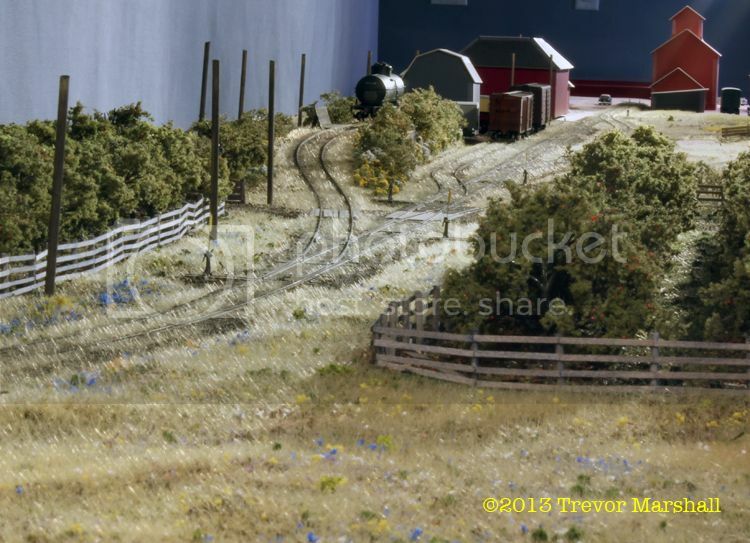 The problem that vexed me was whether to build a fully-detailed model of the bin, when the most interesting side – the opening under the track – would face the backdrop and never be seen by layout visitors or operators. 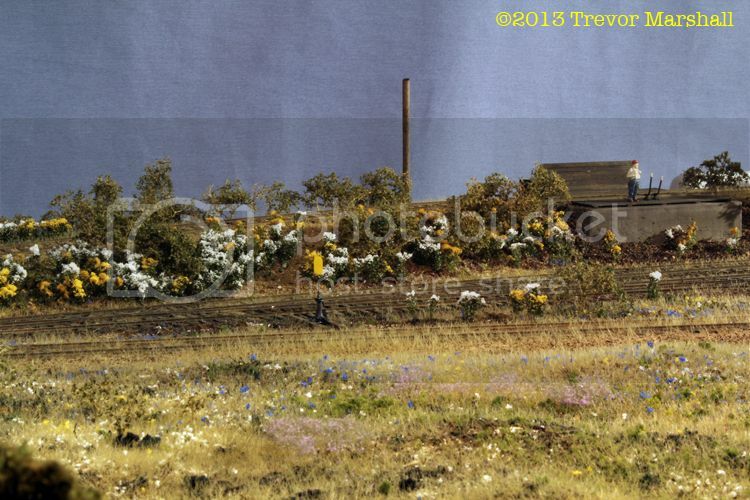 Normally, I would’ve gone ahead and built the structure with full detail, even on the backdrop side – because one never knows, a future change might make that side visible. But then it occurred to me that there was more at stake than appearance. To elevate the siding, I used the cookie-cutter method: I laid in a large sheet of 3/4 inch plywood, cut a slot on either side of the future location of the track, then wedged, glued and screwed wooden blocks under the elevated portion. 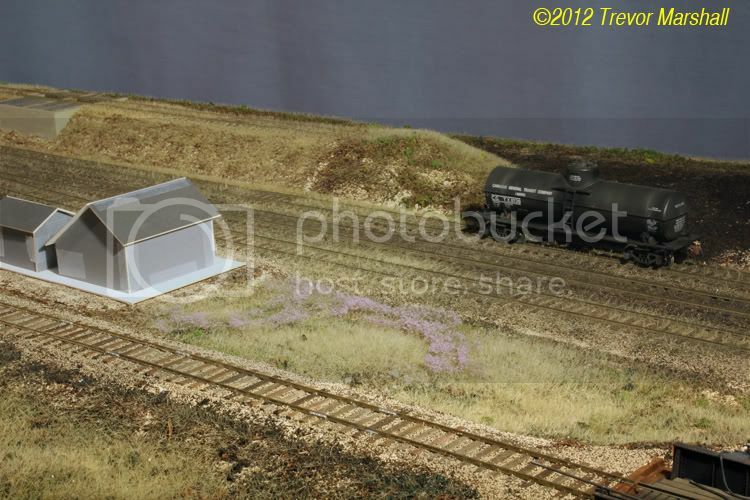 I left a clear space – under the black hopper car in the photo – for the future coal bin. The problem? Well, the ramp track has really nice transitions at each end of it, and I started to worry that cutting away the portion of the subroadbed under the hopper car might allow things to shift. This would ruin the smooth transition at the top of the grade – essential if this is to operate reliably. I therefore decided to leave the plywood in place and build the coal bin around it. Therefore, most of the structure is freelanced, but based on drawings of similar structures from various sources. I cut a piece of styrene sheet to use as a platform on which the detailed top would be built. This platform would be glued directly to the top of the plywood subroadbed when I installed the bin. I added styrene walls around all four sides of the platform, leaving gaps in the two side walls so it could drop in place over the plywood subroadbed. I built up the top of the platform with styrene strip to represent the tops of the bin walls, including a dividing wall in the middle of the bin. I cut some more styrene sheet to create two wing walls to hold back the earth fill to either side of the bin. A smear of Squadron White modelling putty gave the styrene the texture of concrete. I added some wood to represent the stringers that would support the ties, then added ties on top. 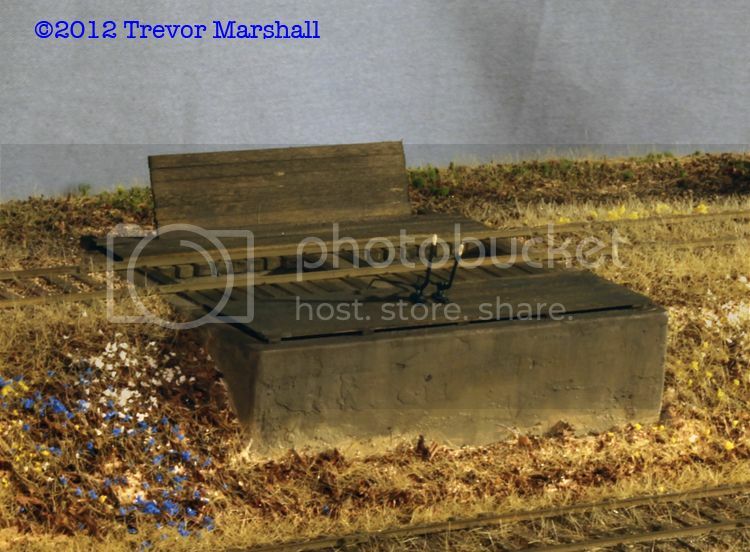 The bin is not finished, but I’ve made enough progress that I’ve been able to permanently install it and lay the rails on the coal track. I have to admit that I’ve pondered how to tackle this project for far longer than it actually took to build the bin. The problem was not technique, construction or even data, but one of deciding what my priorities were for this layout. In the end, I decided that I will detail all four walls of other structures that face the backdrop – including the coal bin at St. Williams. But this bin was an exception because to build it with an open back would’ve compromised the integrity of a section of the subroadbed that’s under considerable stress – and that’s a line I’m not willing to cross. A good lesson to remember for future projects.